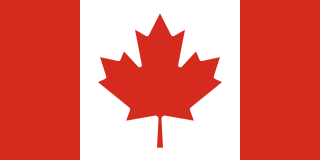 As a filmmaker, he worked in Czechoslovakia, the United States, and Canada. Most of his films were directed in tandem with Elmar Klos. The two became best known for their Oscar-winning The Shop on Main Street (Obchod na korze, 1965). As a professor at FAMU (Film and TV School of the Academy of Performing Arts)  in Prague, Kadár trained most of the directors who spawned the Czechoslovak New Wave in the 1960s. Rožňava is a town in Slovakia, approximately 71 kilometres by road from Košice in the Košice Region, and has a population of 19,505. The cinema of Slovakia encompasses a range of themes and styles typical of European cinema. Yet there are a certain number of recurring themes that are visible in the majority of the important works. These include rural settings, folk traditions, and carnival. Even in the field of experimental film-making, there is frequently a celebration of nature and tradition, as for example in Dušan Hanák's Pictures of the Old World. The same applies to blockbusters like Juraj Jakubisko's A Thousand-Year Old Bee. The percentage of comedies, adventures, musicals, sci-fi films and similar genres has been low by comparison to dramas and historical films that used to include a notable subset of social commentaries on events from the decade or two preceding the film. One of them, Ján Kadár's and Elmar Klos' The Shop on Main Street, gave Slovak filmmaking its first Oscar. Children's films were a perennial genre from the 1960s through the 1980s produced mainly as low-budget films by Slovak Television Bratislava. The themes of recent films have been mostly contemporary. Karel Plicka was a Czechoslovak photographer, film director, cinematographer, folklorist, and pedagogue. He is considered a founder of Slovak film education and filmmaking. He helped establish the genre of ethnographic film in Czechoslovakia. The Shop on Main Street is a 1965 Czechoslovak film about the Aryanization programme during World War II in the Slovak State. Czech cinema is the name for cinematography of Czech Republic, as well as the Czech cinematography while it was a part of other countries. 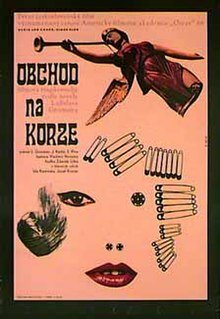 The Czechoslovak New Wave is a term used for the 1960s films of Czech directors Miloš Forman, František Vláčil, Věra Chytilová, Ivan Passer, Pavel Juráček, Jaroslav Papoušek, Jiří Menzel, Jan Němec, Jaromil Jireš, Vojtěch Jasný, Evald Schorm, Elmar Klos and Slovak directors Dušan Hanák, Juraj Herz, Juraj Jakubisko, Štefan Uher, Ján Kadár, Elo Havetta and others. The quality and openness of the films led the genre to be called the Czechoslovak film miracle. Július Satinský was a Slovak actor, comedian, singer, showman and writer. He is mostly remembered in Slovakia as member of the legendary comedian duo Milan Lasica - Július Satinský, however his scope of interest was wide. Elmar Klos was a Czechoslovak film director of Czech origin who collaborated for 17 years with his Slovak colleague Ján Kadár and with him won the 1965 Oscar for Best Foreign Language Film with the film The Shop on Main Street. Both of them co-directed the 1963 film Death is Called Engelchen which was entered into the 3rd Moscow International Film Festival where it won a Golden Prize. Eva Švankmajerová was a Czech surrealist artist. She was born Eva Dvořáková. A native of the Czech town of Kostelec nad Černými lesy, she moved to Prague in 1958 to study at the Prague School of Interior Design and later the Academy of Performing Arts. From 1970, she was an active member of the Czech and Slovak Surrealist Group. She was a painter and ceramicist, and her poetry and prose regularly appeared in the journal Analogon. Most recently, her work has appeared in English in Surrealist Women: an International Anthology and Baradla Cave. Švankmajerová was married to the Surrealist filmmaker Jan Švankmajer, with whom she collaborated on such films as Alice, Faust, and Conspirators of Pleasure. 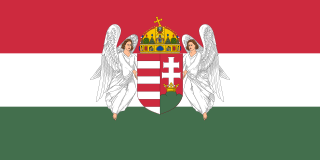 They had two children, Veronika and Václav, and lived in Prague until her death in 2005. Juraj Jakubisko is a Slovak film director. He has directed 15 feature films, between 1967 and 2008. He often takes the dual role of cinematographer, and is often also credited as a screenplay writer as he usually co-writes or writes the scripts of his movies. In 2000 he was named Best Slovak Director of the 20th century by film critics and journalists. His work is often described as magical realism. František "Frank" Daniel was a film director, producer and screenwriter born in Kolín, Czechoslovakia. He is known for developing the sequence paradigm of screenwriting. Jozef Kroner was a Slovak actor. His brother Ľudovít Kroner, daughter Zuzana Kronerová, and wife Terézia Hurbanová-Kronerová were also actors. He starred in the Oscar-winning film The Shop on Main Street, and in more than 50 other Slovak films, as well as in several Czech, Bulgarian and Hungarian productions. He never studied acting; his career started in amateur theater troupes. Lajos Zilahy was a Hungarian novelist and playwright. Born in Nagyszalonta, Austria-Hungary, he studied law at the University of Budapest before serving in the Austro-Hungarian army during the First World War, in which he was wounded on the Eastern Front – an experience which later informed his bestselling novel Two Prisoners. The 18th Cannes Film Festival was held from 3 to 16 May 1965. Olivia de Havilland became the first woman president of the jury. 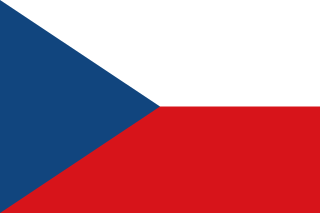 Czech Republic–Slovakia relations are foreign relations between the Czech Republic and the Slovak Republic. Evald Schorm was a Czech film and stage director, screenwriter and actor. He directed 26 films between 1959 and 1988. Schorm was a notable exponent of the Czech Film New Wave. Ladislav Mňačko was a Slovak writer and journalist. He took part in the partisan movement in Slovakia during World War II. After the war, he was at first a staunch supporter of the Czechoslovak Communist regime and one of its most prominent journalists. However, being disillusioned, he became the regime's vocal critic, for which he was persecuted and censored. In the autumn of 1967 he went to Israel as a protest against the Czechoslovak stance during the Six-Day War, but returned to Czechoslovakia soon afterwards. The 3rd Moscow International Film Festival was held from 7 to 21 July 1963. The Grand Prix was awarded to the Italian film 8½ directed by Federico Fellini. Death Is Called Engelchen is a 1963 Czechoslovak war film directed by Ján Kadár and Elmar Klos. It was entered into the 3rd Moscow International Film Festival where it won a Golden Prize. Ladislav Grosman was a Slovak novelist and screenwriter. He is best known for being the author of The Shop on Main Street, which he adapted into a critically acclaimed Academy Award-winning film in 1965. Grosman became proficient in Czech after he moved to Czechoslovakia's Czech-speaking part in his late twenties, where he worked as a correspondent and editor in the Prague bureau of the Slovak newspaper Pravda. Following the Warsaw Pact invasion of Czechoslovakia in 1968, he moved to Israel, where he died in 1981. Ploština was a small settlement situated near to Valašské Klobouky, Zlín District, Moravian Wallachia, today's Czech Republic. 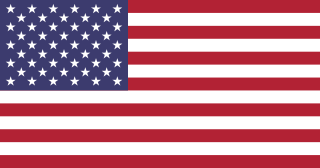 On April 19, 1945, at the end of World War II, it was burned and its people were massacred by Nazis in response to their support of the anti-Nazi resistance movement. The massacre was conducted by the German special SS unit Zur besonderen Verwendung-Kommando Nr. 31, led by Walter Pawlofski, and by the SS anti-partisan unit Josef consisting of members of Slovak Hlinka-Guard, whose headquarters was in Vizovice. 1 2 Martin Votruba, "Historical and Cultural Background of Slovak Filmmaking." ↑ Kevin Thomas, "Film-maker Finds Freedom." The Los Angeles Times, 9 October 1971. ↑ Jelena Paštéková, "The Context of Slovak Filmmaking during the Imposition of Communism (1948–1955)." ↑ Václav Macek, Ján Kadár. Forthcoming. Quoted in "Dištanc (1959–1962)", Film.sk, 7 August 2007. Archived 12 July 2007 at the Wayback Machine . ↑ "History", Laterna magika; accessed 23 July 2018. ↑ English translation by George Theiner, 1961. ↑ "3rd Moscow International Film Festival (1963)". MIFF. Archived from the original on 16 January 2013. Retrieved 1 December 2012. ↑ Steven Banovac, "Ján Kadár and Elmar Klos: The Shop on Main Street (Obchod na korze) 1965, kinokultura.com; accessed 23 July 2018. ↑ Ján Kadár, "Not the Six Million but the One", criterion.com; accessed 23 July 2018. ↑ Projekt 100. Archived 16 March 2005 at the Wayback Machine . ↑ Roger Greenspun (29 July 1970). "The Angel Levine (1970)". The New York Times. ↑ Kadár interview with Nicholas Pasquariello at American Film Institute; accessed 23 July 2018.